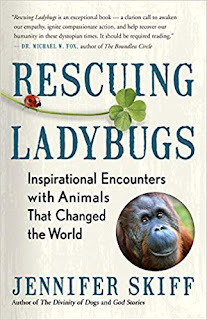 Today, Feathered Quill reviewer Diane Lunsford is talking with Jennifer Skiff, the author of Rescuing Ladybugs: Inspirational Encounters with Animals That Changed the World. 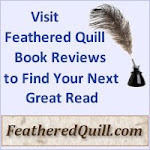 FQ: First and foremost, congratulations on your Feathered Quill award. After reading your book, I can see how you were a recipient. In your introduction, you share the memory of the importance of ladybugs and the symbolism of happiness and good luck that resonated with you as a child. Was this your anchor to infuse the positive (versus negative) throughout the accounts you wrote about? SKIFF: It’s an honor. Thank you. Yes, the ladybug is the anchor. When we were young we were taught that when a ladybug landed on us, we were to blow her away to the safety of her family and in return, we’d receive good luck. That story, known worldwide taught us to have compassion for all animals, even the tiniest. It evokes happy memories for most people. For me, it was important this book be experienced as a positive awakening. FQ: In line with question 1, why the title Rescuing Ladybugs? The deeper I got into your book, the more I found myself trying to connect the correlation between the title and the actual accounts you experienced. SKIFF: You’re not alone. My editor loved the title but said I’d have to find a way to continue the thread throughout the book. I did this by asking each of the global heroes if they’d ever rescued a ladybug. I loved their answers. 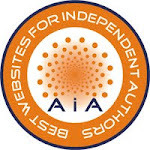 FQ: With your journalistic prowess and credentials, do you find yourself migrating more toward writing books (or do you still have a hunger toward media reporting)? SKIFF: I remain a news junky and find time throughout the day to see what’s happening globally, and of course in Washington. I write non-fiction, so I still consider myself a journalist. In truth, spending days in my office with my dogs by my side is a lot more pleasant at this stage than chasing stories and working under a daily deadline. FQ: Following on with question 3 (and certainly not trying to get political), how would you sum up the art of journalistic reporting today in comparison to a decade ago? SKIFF: I witnessed the change start 25 years ago. At that time, most journalists presented two sides of a story, letting the reader or viewer form their opinion. Today, I see news as mostly entertainment and opinion with the hard-core journalists hanging on for life. 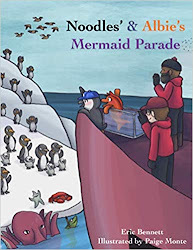 FQ: Since writing Ladybugs, are you compelled to do a continuing series of experiences? SKIFF: Yes! It’s the life I lead and that work, thankfully, inspires others. I look forward to documenting the youth who are compelled to create change. FQ: Of the many encounters and rescue missions, what experience provided the greatest sense of accomplishment? SKIFF: Looking back, working to build the first bear sanctuary in a communist country gave me a great sense of accomplishment. Having said that, rescuing a dog I found in a pile of garbage in Puerto Rico while I was on a shoot for CNN defined me. My crew told me to leave the dog behind. I didn’t. That moment gave me a divine strength that has never left me. Since then, I’ve always followed my own instincts to choose right over wrong no matter what other people think. FQ: What left you feeling like you could have done more? SKIFF: That’s a good question. I’m continuously working on legislative issues that are emotionally debilitating. It makes me physically ill when I see some legislators fighting to keep farm animals and the people who eat them sick because they don’t have the vision or incentive to create change that benefits everyone. Change takes time and during that time, there is suffering. I will add that negotiating is difficult when you want to scream. Why in both scenarios? FQ: As for writing, what is your process when you feel the urge to begin a new project? Is there a deep sense that keeps mentally challenging you to write the story (or is it a process that trickles in a steady flow)? SKIFF: My contemplation comes when I create the proposal for a book that is used to sell it to a publisher in advance of writing. That’s the hard part. I want my books to inspire, enlighten, educate, and to take readers for an exciting ride. Once I have the structure of the book in proposal form, it flows quickly. FQ: How do you overcome the road block, I would venture to say all writers encounter: ‘The proverbial writer’s block’? SKIFF: So far, so good. I’m lucky not to have experienced it. I think that comes from being trained as a news reporter, where I often worked against daily deadlines for 25 years. FQ: When do you know it is time to set the project aside and come back to it? Or, set the project aside because it wasn’t meant to be? SKIFF: I’m extremely fortunate to have a wonderful literary agent who’s been with me through the publication of three books. She proofs my proposals and if something isn’t singing to her, she lets me know. I’ve also pitched ideas to her that she hasn’t felt she could sell. I respect her immensely and take her direction. 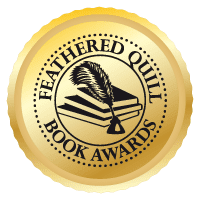 FQ: What was your motivation to submit your work for consideration of an award with Feathered Quill? SKIFF: Rescuing Ladybugs was submitted for consideration under the advice of several of my closest friends who felt it was my best work. I was interested to see if people who weren’t my friends felt the same way. It has truly warmed my heart to have received not one, but two 1st place awards with Feathered Quill - a dream come true. FQ: Are you working on your next project? If so, are you able to share any nuggets at this time? SKIFF: I was hoping to take 2019 to enjoy friends and family while promoting Rescuing Ladybugs. Instead, I’ve just accepted an international role with a Washington-based animal welfare organization and am excited to work to make life better for billions of animals a year. I’ll be keeping a diary and as you know, diaries are a great starting point for books!